A gang of burglars who plotted to raid a fast food restaurant in Peterborough were caught red handed by police after being spotted by an observant manager. The gang - made up of Sean Pagett (28) Neil Carrington (32) David Ricketts (46) and Mark Douglas (36) and a fifth, unknown man, broke into the KFC on the Eye Roundabout, Paston Parkway in Peterborough in the early hours of Wednesday, March 11. Some members of the gang had been to the restaurant earlier on Tuesday when an alarm was disabled - but were spotted by the manager acting suspiciously near the door where the sensor was located. The manager then contacted police, who were able to set up a surveillance operation to bring the gang to justice. 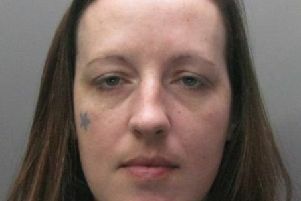 On Friday, Pagett, of Rowland Gardens, Walsall and Carington, of Wingate Road, Walsall were jailed for three years and two months while Douglas, of Horsecroft Road, Edgware, London and Ricketts, of no fixed abode were jailed for two years and eight months at Peterborough Crown Court after all pleaded guilty to burglary. Craig McDougall, prosecuting, said: “At about 4.30pm on March 10 the manager saw three men enter the shop. One reached above the door, before the three walked away. “Then a silver Lexus pulled up, driven by Pagett. Officers waited until they came out of the restaurant empty handed before arresting four of them after a short chase. During the raid the gang caused £300 of damage to the restaurant. The defence teams for the four men all pointed out the early guilty pleas from the defendants, and all said their clients were all looking forward to moving on with their lives following their jail sentences. Judge Sean Enright said: “This has all the hallmarks of serious offending. This was an organised gang, carrying out a crime at night totally out of the city area. The difference in the length of sentence was put in to reflect the earlier guilty pleas from Douglas and Ricketts.